The Amazing Rhythm Aces are an American country-rock band originally formed in the early 70s. 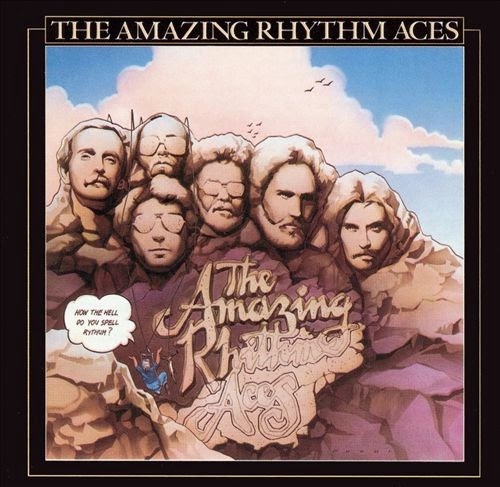 By 1980 The Amazing Rhythm Aces had finished their contract with ABC Records. They then found themselves with Warner Bros. for one more album, their second with lead guitarist Duncan Cameron (whose stunning solo on the opening track was particular notable). How The Hell Do You Spell Rhythum? saw them lean further towards R&B than their previous albums had done, though of course also featuring a few moments of pure country. It featured a higher proportion of covers than any of their previous albums, with only two originals from lead singer Russell Smith. The covers included Dan Penn's "You Left The Water Running", Eddie Hinton's "I Got The Feeling", Van Morrison's "Wild Nights" and Taj Mahal's "Further On Down The Road". It turned out to be the band's last album for a good few years, as they broke up shortly afterwards. Russell Smith turned to a full time solo career (having released his debut solo album in 1978), Duncan Cameron joined Sawyer Brown, and the other members went on to work with various other artists as band members and session musicians.